The rectangle and the circle share the same center, . Find the circumference of the circle. 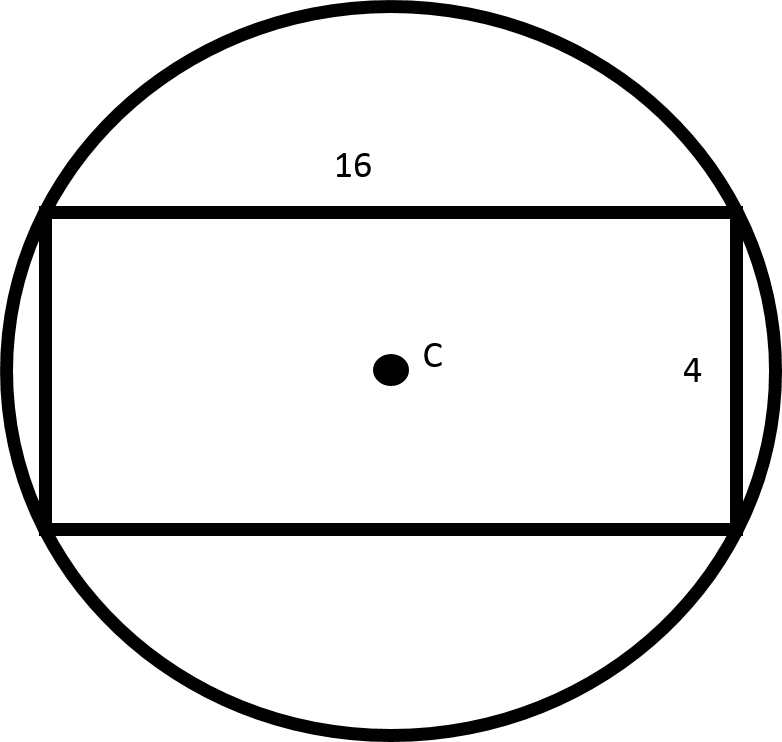 Notice that the diagonal of the rectangle is also the diameter of the circle. Use the Pythagorean theorem to find the length of the diagonal. Substitute in the values of the length and the width to find the length of the diagonal. Now, recall the relationship between the diagonal and the diameter. Substitute in the value of the diameter to find the circumference. Find the circumference of a circle given radius . 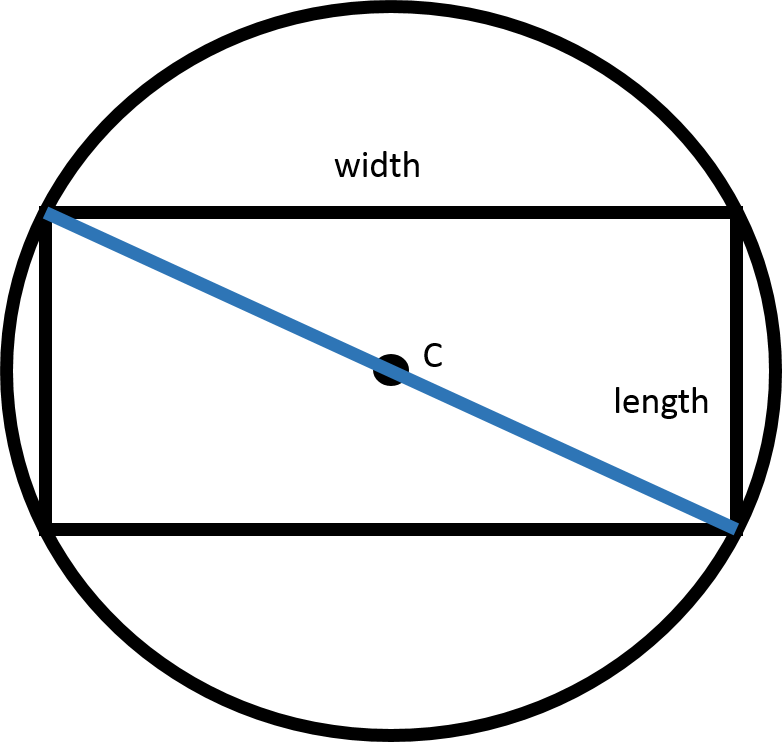 If a rectangle with a diagonal of is inscribed in a circle, what is the circumference of the circle? Notice that the diagonal of the rectangle is the same as the diameter of the circle. Substitute in the given diameter to find the circumference. Dartmouth College, Bachelors, Engineering Sciences. University of Pennsylvania, PHD, Electrical Engineering.